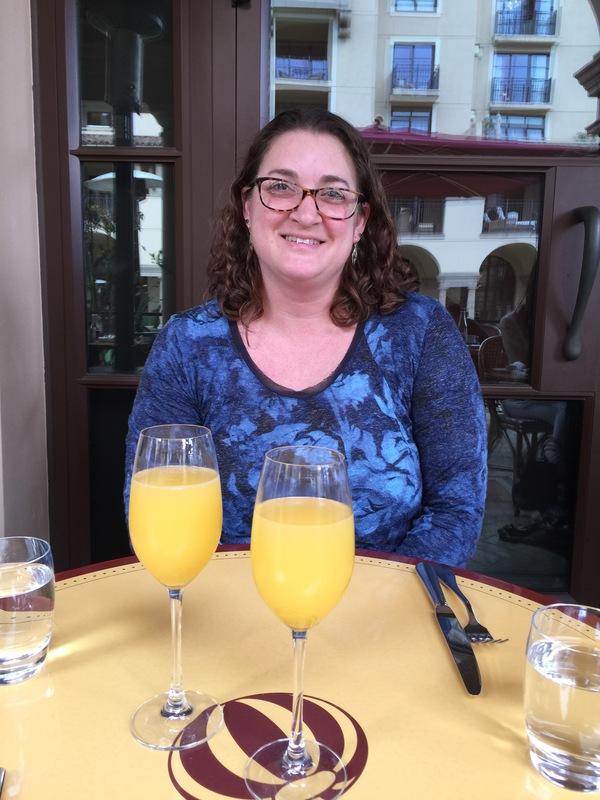 Jen and I are in California for QuiltCon and spent an afternoon in Los Angeles before heading to Pasadena. 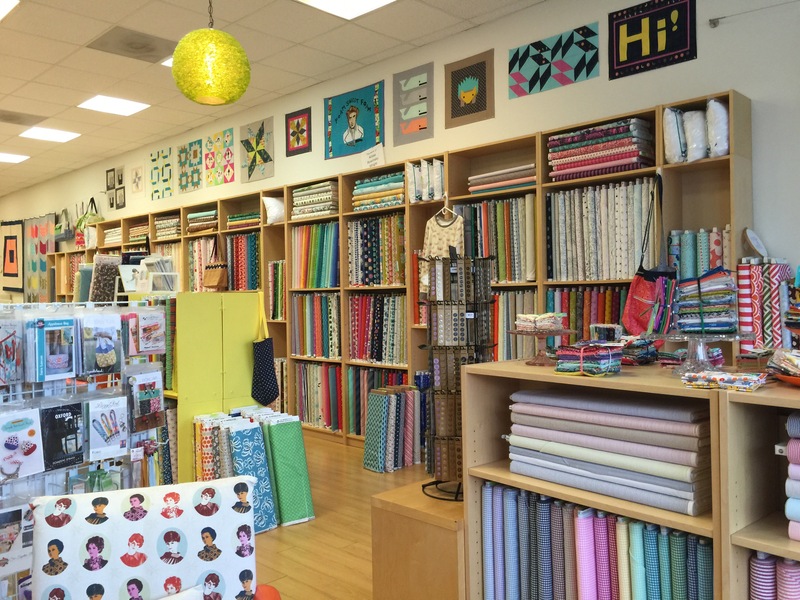 After lunch on Rodeo Drive we visited a local quilt shop, Sew Modern. 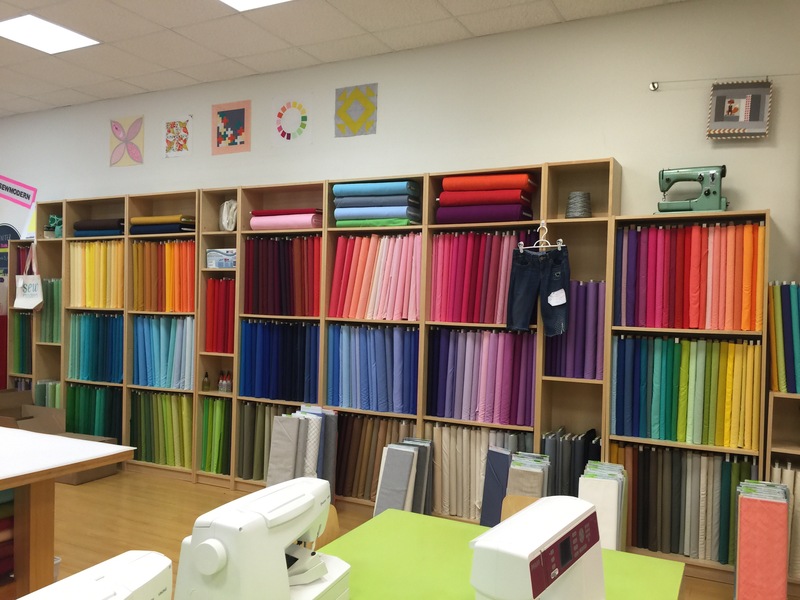 The shop is pretty large and offered a wide range of modern fabrics, including some from other countries. The shop was fine, but not a shop I would go out of my way to visit again. The lady working was nice enough. The selection was fine. But the prices were outrageous. Seriously high. High enough that I passed on fabric I would have otherwise bought by the yard. One of their selling points is having every Moda solid in stock. But I can get them online for $6 per yard if I buy 5 yards, and $8 if I buy less. They did have some unusual fabrics and I did find an awesome Halloween print that will make cool bags. The sale fabric was $7.00 per yard. Jen found a remnant of a blue print for a patriotic quilt she is planning. But that is it. Which is highly unusual for us. I thought maybe it was their urban location driving up the cost and was excited to check them out at QuiltCon. I had the same experience there. I was looking for a new line of denim and a shop near Jen has it for 13.25 per yard. Sew Modern was offering it at QuiltCon for $17.25 per yard. No thank you. 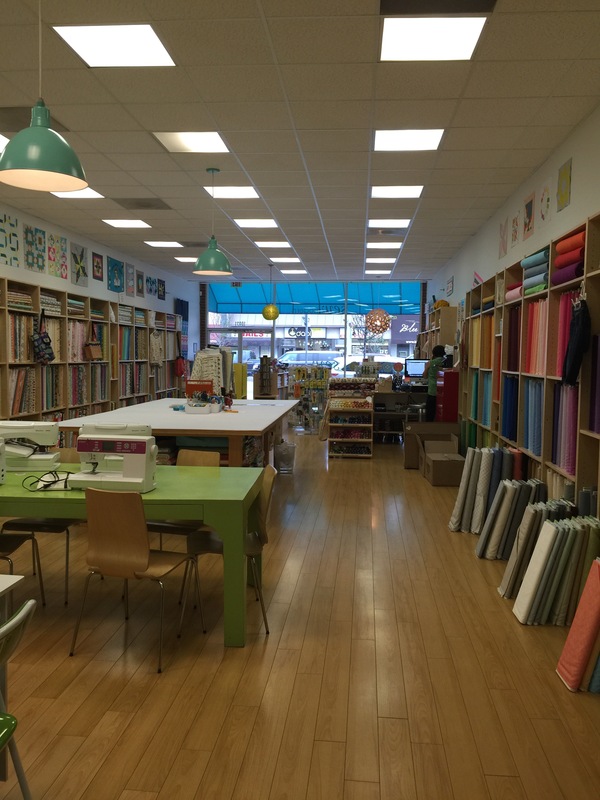 Sew Modern is located at 10921 W Pico Blvd in Los Angeles or online at http://www.sewmodern.com. If you are in the neighborhood, visit. But bring your gold card – you will need it.